David Mallett - "Garden Song"
There is an important lesson in these lyrics that goes beyond growing healthy veggies. It also applies to our spiritual growth. In Buddhism we believe that each person is a piece of fertile ground that can be cultivated to produce the fruits of joy, equanimity, love, and compassion. I will share a few of my own experiences that have arisen through gardening, both inside and outside. I began to practice Buddhism when I was in college at Yale University. As a student I felt overwhelmed and anxious. I happened upon a short meditation instruction with the Buddhist Chaplain at the time and began to attend evening meditation and chanting sessions. In the middle of my second year I decided to leave Yale. I spent time working for a Buddhist Cattle Rancher as well as living at a Zen Center in California. But eventually I came back home to Ann Arbor where I grew up without much of a plan. I was fortunate to discover the Ann Arbor Zen Buddhist Temple which practices Buddhism in the Korean tradition—the same as was practiced at Yale. I began attending services, classes, and retreats. As the summer months approached, the Priest Haju Sunim asked that I take care of the vegetable garden. Over the years, the garden has had different champions but when I turned up at the Temple, there was not a regular person to maintain the watering and weeding. It became a wonderful work practice for me to spend hours under the sun tending to the plants. I have not measured the vegetable garden at our Temple but it is quite sizeable for a garden in the middle of the city. 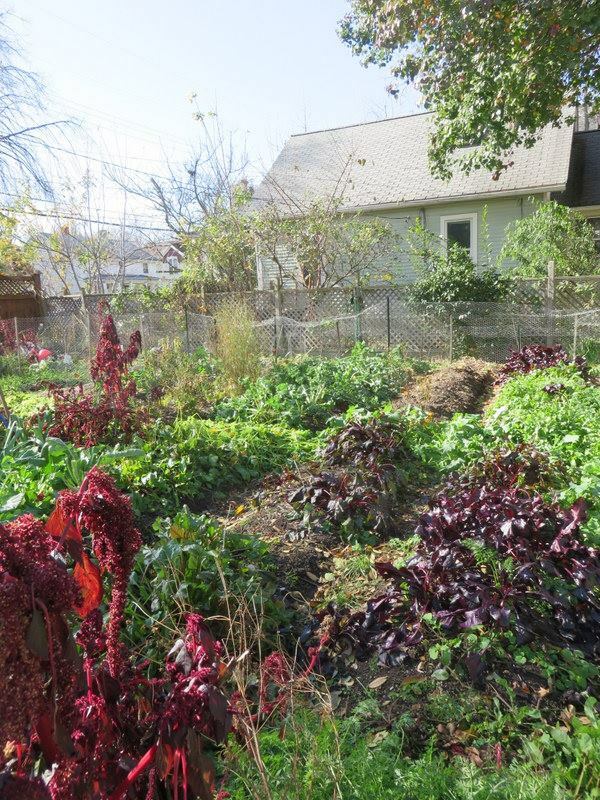 After the good gardening efforts of members and friends in the early 1980s, a garden was firmly established by Asvabhava Richard Andres, an early resident of the Temple, who now runs Tantre Farms with his wife Deb. Haju returned one day to find that Asvabhava had seven mounds of compost delivered on top of the Temple parking lot. He told her that a Temple “needs to have a big garden” and was determined to make it happen. There are many unique qualities to our garden that have developed. One is the presence of tall purple and white Cosmos flowers which came from seeds collected by Haju at monasteries in Korea. Purple Amaranth is another annual which stands beautiful and gangly among the vegetables. And Kale has always been a priority crop, as it is Haju’s favorite food and a staple on the breakfast table. After that first summer I became a full-time resident and training student at the Temple. I work on many different aspects of Temple maintenance, but the garden is a priority during the summer. I have learned from Wonpy’o Jeff Kroeppel, a previous garden champion, to dig raised beds, to build a better compost pile (with the secret ingredient of chicken poop) and to start seedlings for transplanting. We have added a beehive to our yard and have plans for building a small hoop house. Why must a Temple have a garden? In a certain sense the Temple already is a garden of a blooming community of practitioners. Yet I think there is an important quality of being directly connected to a part of our food source. Each day we recite in our meal gatha: “This food comes from the labors of beings past and present.” Trying on our own to grow a few vegetables helps us remember the great world-wide efforts that go into our nutrition. We learn to take care of the small piece of land which we own. It also provides excellent outdoor work practice for countless volunteers who may have never found dirt under their fingernails before. I remember that once as a new volunteer, I was watering with a broadcast sprayer. Haju came over and said “watering like that is not much of a practice!” She showed me how to kneel by each plant and dribble a little water to the roots (and to offer some words of encouragement to each plant at the same time). In Zen we consider work to be practice for just this reason; the whole experience changes when you begin to pay attention, noticing the details of each plant, their colors and textures. Equally important is paying attention to our own minds, constantly returning to the body and the breath. As I write this blog, I am on a month long stay at our Mexico City Temple. The Temple has recently moved to a new beautiful building and the Resident Priest, Toan Sunim has requested that I dig a vegetable garden in their small backyard. I am also tasked with re-digging the compost pile and setting stone pathways. It brings me great joy to try and transform the small back lawn into a garden which will be cared for by members of their community. Our Toronto Temple has a small garden patch, and at our Chicago Temple, each child is given one square foot to cultivate in their small property. Perhaps the next frontier will be a rooftop garden on top of our New York City Temple. Meanwhile we continue our daily practices with the hopes of accessing our most fertile inner-ground. Haru Sarah Juster is a resident of the Ann Arbor Buddhist Temple and a full-time student in the Maitreya Buddhist Seminary. 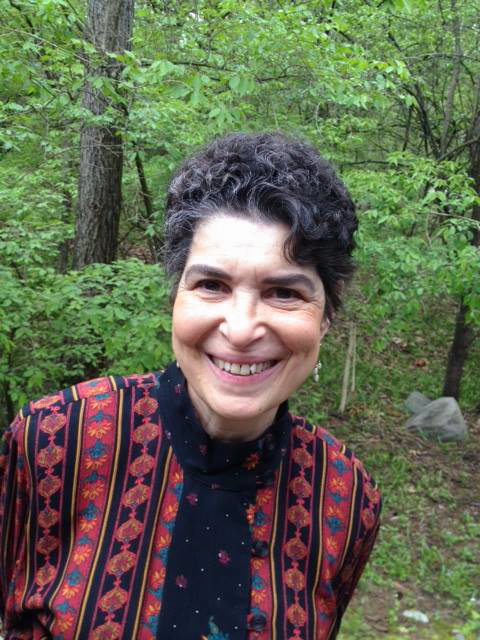 She is an Ann Arbor native who enjoys taking walks, Buddhist practice, and living in the Temple community.